WOA Silver Star Congrats to Mary Barton in Arizona! 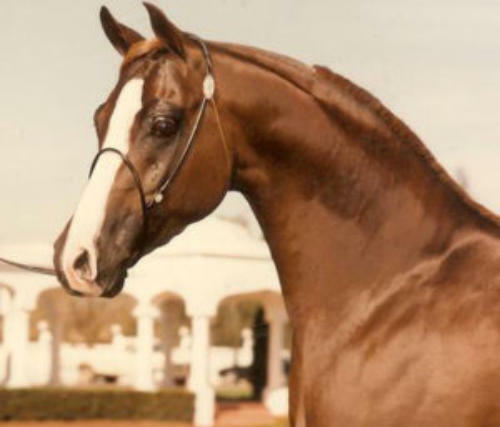 See News Page for update RS Silver Star, who was bred by Mr. Richard Skinner, Manager of the Hearst Ranch, is exquisitely beautiful, as well as breathtaking to watch. 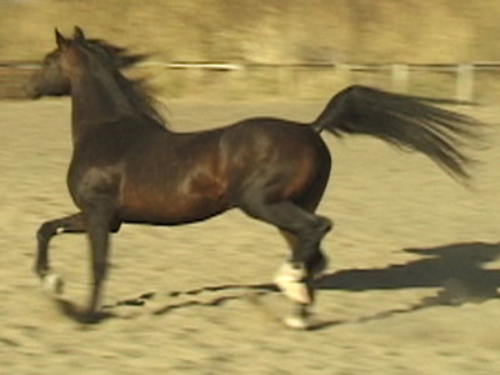 She floats a trot and has, not only great extension, but tremendous hock action as well. She was bred to Solstar in 2005 to produce an athlete who is beautiful to behold as well. He has every bit of his sire and dam's HUGE trot and incredible extension! He is an awesome Dressage and Show Hack prospect as well as a competitive endurance horse! Click on his name above to view his pedigree. 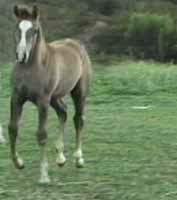 Click on pictures of Silver Star to view his video and on her sire and dam’s names to see theirs. Congrats to Tracy Hefner in Arizona! See News Page for Update Halyva Star's dam, Halyne was one of our best Halynov daughters, bred by race horse breeder Charlie Jenkins. Not only was Halyne a halter winner and recognized for her beauty, she was an awesome mover and had all of her daddy's athletic ability. She had speed and great extension, as well as incredible hock action. She was bred to Solstar in 2005 to produce an athlete who was equal in beauty and athletic ability. 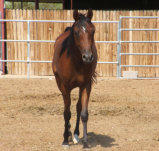 Halyva Star was purchased by Tracy Hefner, an endurance competitor who has great hopes for the girl when she matures! 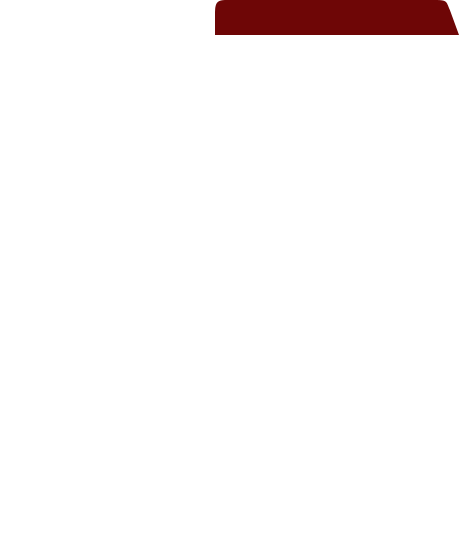 Click on her name above to view her pedigree. Click on picture of Halyva Star to view a video of her and on her sire and dam’s names for theirs. IIWP Ruahh Congrats to Windermere Farm! Look at that hock Action in the Video! This adorable colt was bred by the Individual and International World Peace Foundation and they couldn't have asked for a sweeter, more sensible colt. We don't have much footage of him unfortunately, yet just look at the hock action on this short clip! Click on his picture or name to right to see this wonderful footage of him and on his sire’s name to see Solstar’s video. Congrats to Mary Barton in Arizona! See News Page for update RS Silver Star, who was bred by Mr. Richard Skinner, Manager of the Hearst Ranch, is exquisitely beautiful, as well as breathtaking to watch. 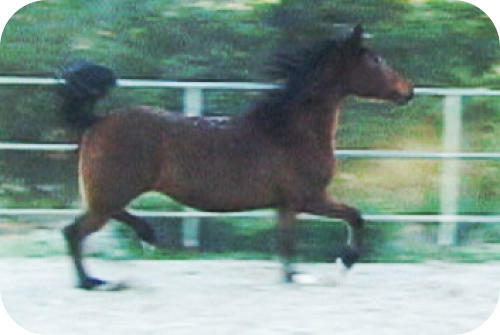 She floats a trot and has, not only great extension, but tremendous hock action as well. She was bred to Solstar in 2005 to produce an athlete who is beautiful to behold as well. 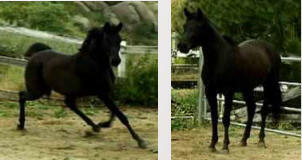 He has every bit of his sire and dam's HUGE trot and incredible extension! He is an awesome Dressage and Show Hack prospect as well as a competitive endurance horse! Click on his name above to view his pedigree. 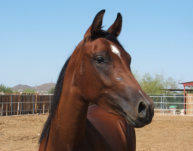 Click on pictures of Silver Star to view his video and on her sire and dam’s names to see theirs.